As professional photographers, or aspiring amateurs, we are constantly trying to get our work out into the world, and in front of as many eyes as possible. Assuming you haven't been living under a rock, you might have heard of this little photo sharing app called instagram! 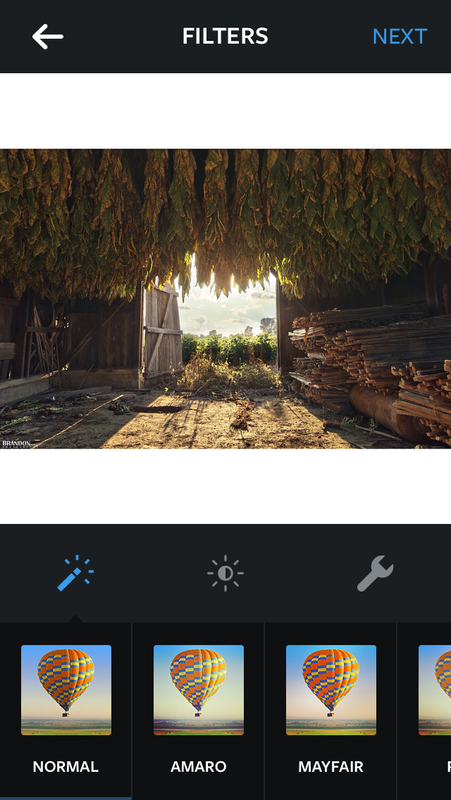 Yes, instagram, that app known for throwing disgusting filters over good photos, and where an iPhone pic of a cup of coffee can get 10k likes. Yep that's the one. Besides those simple problems with the app, it has actually become a great resource for photographers to showcase their professional work, and many photographers get a lot of work from instagram. The thing is, and you might be aware of this, DSLRs don't shoot in a 1:1 crop... This can be a major problem to us, because we spend quite a bit of time thinking about the perfect composition for our photos, and most of the time a 1:1 crop destroys that! Unless you're the amazing fine art photographer Brooke Shaden who shoots solely in a square crop. Well, I'm here to show you the way to get your amazing photos from your computer -> iPhone -> Instagram, without cropping them and without too much hassle. 3. The dropbox app on your iPhone. Next, upload any photos you want to transfer to your phone into dropbox. Don't upload them as a full res file though. Resize to something like 2048 x 1365 (ideal for web) and reduce the quality to around 70-80% and you'll get files < 1MB. After you've done this, or while things are uploading, download the dropbox app to your phone, as well as Instagram, and instasize if you don't already have them. Open Dropbox on your phone, and sign in. You will see your photos. Click on the camera button, and select image from library. This is how it will look, perfectly sized for instagram, no cropping from the original photo. From here, press share, and click on Instagram. Then open in instagram. Now, it's the normal process of posting a photo to instagram. You go through, don't apply any filters because you've already spent a long time perfecting your colors in photoshop, and add your #hashtags and share! And you're done. You now are displaying your beautiful portfolio work on instagram, the way you intended it to look. If you enjoyed this or learned something from this article, I would appreciate you share it around and maybe even follow me on Instagram! Also leave your instagram usernames in the comments section below for me to check out!